For the first time since 1992, the Florida Gators will be hiring a new athletic director. 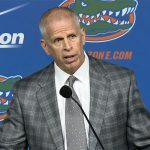 On Monday, Jeremy Foley announced his retirement as of Oct. 1, ending a 40-year career inside the Florida athletic department and 25-year stretch as the Gators’ AD. Under Foley, Florida won 27 national championships in 13 sports over his 25 years at the helm of the athletic program. He hired the best coach in every sport — except football — in school history and is responsible for the emergence of the Gators as a national brand. Though Foley will not decide his successor, he will have the opportunity to lend a hand in Florida’s search. Whether that makes it more likely UF will stay in-house to replace Foley or is meaningless and the school hires away a top-tier AD for the premier job that is leading the Gators athletic department remains to be seen. Here are six administrators who would be at the top of the food chain for Florida sports in three-and-a-half months, three more names to know and three who will certainly not be hired. The following candidates are listed in no particular order outside of their categories. Having worked at Florida since 1993, Hill is as familiar as anyone with the inner workings of the Gators’ athletics department. In his current role, he oversees multiple facets of the organization including communications, marketing, multimedia and the ticket office. Hill manages UF’s important sponsorship and rights partnership with IMG College, serves as the point of contact for SEC Network and is responsible for the Florida men’s basketball program. It would be fair to say Hill is the most public face of those with whom he shares a title, and though that’s not necessarily how decisions like these are made, it certainly does not hurt. If you’re looking to replace arguably the best athletic director in the country, how about going after one of the hottest? Castiglione, a South Florida native, is a two-time AD of the year who first served in the role at Missouri (1993-98) before being hired away by Oklahoma. The Sooners are one of few national athletic programs that embrace the ideal Foley established that every sport truly matters, and Castiglione is a bit reason for that. In fact, despite not winning a national title in football or basketball, Oklahoma advanced to the semifinals in both but had numerous other programs perform even better by winning crowns this past season. 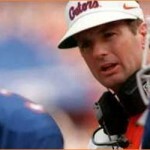 Castiglione also hired former Florida defensive coordinator Bob Stoops in 1999 and succeeded in keeping him away from the Gators in 2002 when Foley looked to Stoops as his top choice to replace Steve Spurrier. Why would Castiglione leave? As good a program as Oklahoma has been, Florida is better top-to-bottom. Castiglione would also have the opportunity to lead a top program in the stable SEC while the Big 12 appears ready to be in store for some significant changes in the next few years. Why wouldn’t UF want Castiglione? He’s 58 years old and may not be a long-term solution. With a tenure dating back to 1989, Howard — like Foley — is a product of the northeast who worked his way up the ranks at Florida after starting his career at the school’s golf course. Howard, who the only of the three not hired by Foley, is tasked with managing all aspects of UF’s operations and facilities in both the short- and long-term (capital investment). He’s also in charge of the baseball and strength & conditioning programs, while assisting Foley with football when needed. A Brown-educated native of Gainesville, Florida, Muir is young (47), experienced and at the top of his game. After working his way up at Butler, Auburn and Notre Dame (where he was hired by Kevin White, the father of Gators men’s basketball coach Mike White), Muir was plucked away to lead Georgetown (2005-09) and then Delaware (2009-12) before hitting the big time by taking over Stanford in 2012. He is also a former assistant director of the NCAA Men’s Basketball Tournament and currently serves on its committee. Muir has continued the Cardinal’s streak of excellence in the Director’s Cup, an award for best athletic program in the nation that UF falls just short of each year due to myriad circumstances. 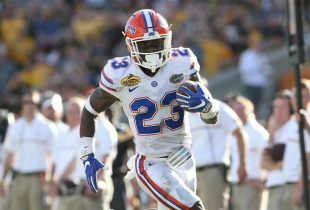 It would likely be tough for Florida to lure Muir from Stanford, but again, the Gators’ dominance in the nation’s best conference sure gives them a great sales pitch. By comparison a new addition to the department, the California native with a law degree in her back pocket has worked with the Gators since 2003 and oversees the five major women’s programs (basketball, gymnastics, lacrosse, softball and volleyball). Though Florida does not have a women’s AD like many schools do, she would be the closest thing to it. Tealer also manages UF’s internal systems (human resources, information technology) and runs Florida’s sports health department. Most recently, Tealer — the UAA’s contract impresario — gained a bit of national attention by her masterful work in helping Foley acquire head football coach Jim McElwain. Tealer has history with new SEC commissioner Greg Sankey as the two previously worked together at the Southland Conference. There is also potential history at play in a potential Tealer hire as she would become the first female AD in the SEC and the first African-American woman to serve as AD at an FBS program. 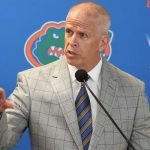 Let’s put it like this: Whether Florida actually reached out to Byrne’s football and basketball coaches or not, both were reportedly on the Gators’ short list for their open jobs this past offseason. Byrne has kept basketball coach Sean Miller in the fold despite a number of suitors and held on to Rich Rodriguez by stepping up to pay the coach after early success at Arizona. Only 44, Byrne has athletic administration in his blood as the son of long-time Texas A&M AD Bill Byrne. He also has SEC experience serving as an associate at Kentucky (2002-05) and Mississippi State (2006-08) before being hired full-time by the Bulldogs (2008-10) and subsequently plucking away then-offensive coordinator Dan Mullen from Florida. Byrne has also dealt with major facility decisions including a $378 million construction and renovation project for college football and moving Arizona away from its on-campus baseball stadium, which led to improved attendance. The Gators would be a fine landing spot for Byrne, who has shown a propensity to be on the move over his career. Chris Del Conte, AD, TCU: The Horned Frogs have been on a continuous upswing since his hiring in 2009. TCU moved into the Big 12, spent $236 million to renovate its football and basketball facilities and continues to gain on powerhouse programs in one of the most competitive states in the nation. One would think that Del Conte plans to see through his efforts in Texas, but you never know. Jim Phillips, VP for athletics and recreation, Northwestern: Connected to openings at Penn State and Stanford (which went to Muir) over recent years, Phillips has done more with less in Evanston, Illinois, than anyone could expect. He’s made solid hires, kept the Wildcats competitive and even held off suitors for some of his top coaches. Phillips working at a school like Northwestern in the bottom half of the Big Ten doesn’t mean he has avoided pressure, just that it hasn’t found him the way it does ADs at other, bigger programs. Kevin White, AD, Duke: A native of Florida, White has worked at Duke since 2008 after going through a rough patch in his career at Notre Dame when he could not make a right decision in hiring or retaining a football coach despite being given four opportunities. Why he’s even listed here is because he is considered a progressive thinker with plenty of experience and a true desire to help student-athletes. Outside of that, and a meaningless connection as father of Gators basketball coach Mike White, it would be a surprising decision to say the least. Tom Jurich, AD, Louisville: For as well as Jurich has led the Cardinals, including convincing Rick Pitino to spurn Michigan and keeping Charlie Strong in the fold for so long, he would also come with some baggage considering the current NCAA investigation into improprieties with the basketball program. And it would likely take a hefty salary bump from his already hefty salary to make that happen. Steve Spurrier, retired coach, Florida: Back in the day, this would have been a no-brainer, but it is no longer the age of coaches retiring and immediately stepping into administrative roles — particularly at UF where Foley has proven that whoever holds the job needs to be much more than just a face of the athletic program. Spurrier can take on a variety of other roles for the Gators if he so chooses, but the 71-year-old will not be the AD. Plus, he’d probably have to cut down on his golf and Coors Light, and you know he’s not doing that. Greg McGarity, AD, Georgia: There was a time when McGarity was a shoe-in to replace Foley … until he left for Georgia after 18 years with Florida to lead the Bulldogs. And while going to UGA was not McGarity taking the best job available, it was a chance for him to return to his hometown of Athens and the athletic department where he cut his teeth before being hired by Foley. Florida is not a lateral move, it’s a step up, but it’s not one likely to happen. Is there a spot to look up award winners of the top ADs of the years? I like the idea of promoting from within for this position. Even though each has no experience as the head AD, their experience working directly with Foley gives the best chance to preserve the culture that has led to so many wins and so few scandals. Observing Jeremys leadership style and duplicating it are two different things. Howard and Hill can execute directives. No one knows if they can lead and inspire others to do so. Id lean toward a proven leader who has moved program(s) forward. The culture is set at UF and Jeremy will still be around for the next guy to counsel. Lets get a guy who can take us to the next level not try to keep us at the current one.